Performance Characteristics of Transformer Oils - ! Equipment for Transformer Oil Reclamation. GlobeCore. Transformer oil is characterized by the irreversible process of obsolescence. Such processes as moisturizing and saturating with oxidation products result in the oil losing its chemical and functional properties. Such factors as sunlight, high operating temperature, and dissolved metal salts accelerate the oxidation process. Heat transfer is hampered due to aging products and contaminants that accumulate on the active parts of the transformer. Periodic monitoring of the liquid and solid insulation therefore, is a necessary part of a comprehensive preventive maintenance program. First, the samples are taken for laboratory analysis. If the analysis shows that the performance characteristics of the oil are lower than the internationally acepted standards, processes such as cleaning, drying, and regeneration should applied to restore the oil’s properties. Centrifugal machines or special filters are used to remove impurities and moisture from oil products. The drying process with the help of zeolites (calcium or sodium aluminosilicate) allows for decoloration of used oil. The regeneration process consists of removing the decomposed products and restoring the oil to its original quality level. The GlоbeCоre branded equipment designated as CMM-R is used to regenerate transformer oil. It allows the operators to carry out the regeneration processes when the electrical equipment such as transformers is either turned on or turned off. Cost-effectiveness, eco-friendliness, and mobility are the most distinctive features of the GlobeCore CMM-R units. Transformer oil, processed with the help of GlobeCore branded equipment restores all the performance characteristics of the dielectric oil so it can continue to be used without the need for replacement and disposal. 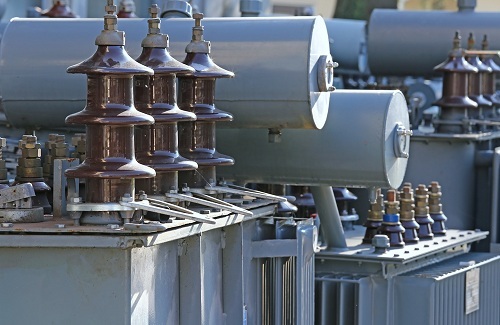 By extending the service life of the liquid and solid insulation, the equipment operators thereby will extend the service life of their transformers. Unlike similar equipment, the GlobeCore CMM-R units utilize sorbent materials with unique filtering and bleaching agents called Fuller’s Earth. The design of GlоbeCоre equipment allows the operators to purify, dry, and regenerate transformer oils on-site and significantly reduce new and used oil transportation costs. The equipment uses a continuous regeneration process when processing transformer oil. The special adsorption and dehydrating filters are used to provide a continuous regeneration process. When the sorbent material becomes saturated, the system automatically switches from oil processing to sorbent reactivation and back again when the process is completed. The system consists of metal cylinders that are filled with sorbent. The cylinders absorb moisture and oxidation products from the circulating oil. The dielectric insulating oil interacts with atmospheric air which results in oil oxidation and contamination. In order to prevent this process, a nitric acid protection system is used. It is worth noting however, that the nitric acid protection system will not work if the oxygen concentration in oil is over acceptable limits. Often anti-oxidation inhibitor additives are added to transformer oil to slow down the destructive processes of acids and unwanted contaminants. They can be divided into groups such as: (1) inhibitors slow down oxidation processes; (2) deactivators reduce the influence of metallic compounds that are soluble in oil. (3) passivators form a film on the metal surface that prevents it from interacting with oil. For example, the CMM-R unit uses ionol, a typical inhibitor, that slows down the sludge production and hampers the growth of the dielectric dissipation factor.